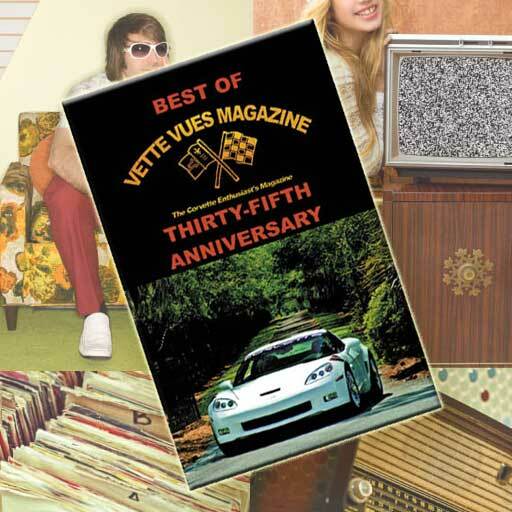 Home » Archive for category "Vette Vues Magazine Past Coverage of Corvette Events"
Check out some of the features from Corvette events, cruise ins, caravans, car corrals and more that have been featured in Vette Vues Magazine. 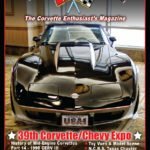 Vette Vues Magazine, the Corvette Enthusiast’s Magazine, covers the largest Corvette event in the world, as well as local club events. Some of the events you will find in Vette Vues include Corvettes at Carlisle, Bloomington Gold Corvette Show, Muscle Car and Corvette Nationals, Corvette Chevy Expo, Corvette Homecoming, Corvette Expo, NCM Bash, and more. Are you looking for a Corvette Event to attend? Check out our Corvette Calendar of Events. 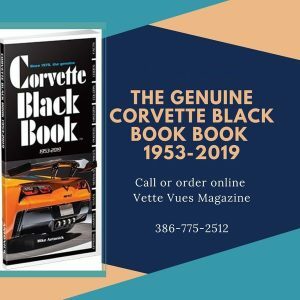 Posted on December 27, 2018 Posted in Vette Vues Magazine Past Coverage of Corvette Events	. 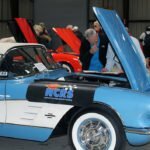 NCRS Winter Regional Meet 2018 event coverage that appeared in Vette Vues Magazine. Tags: NCRS Winter Regional Meet 2018	. 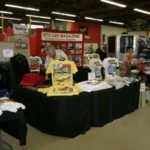 Posted on December 16, 2017 Posted in Corvette Chevy Expo, Vette Vues Magazine Past Coverage of Corvette Events	. 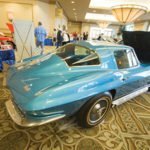 Tags: 2017 Corvette Chevy Expo Coverage, 39th Corvette Chevy Expo, Corvette Expo Galveston, Corvette Show Galeston, Emmalea Christine, Galveston Corvette Show, galveston island convention center, Texas Corvette Show, Tri-Power Award	. Posted on December 16, 2017 Posted in Corvette News and Archives, Vette Vues Magazine Past Coverage of Corvette Events	. 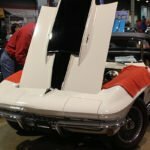 Tags: Corvettes @ Muscle Car and Corvette Nationals 2017, MCACN 2017, Muscle Car and Corvette Nationals 2017	. Tags: N.C.R.S TEXAS CHAPTER IN GALVESTON, NCRS Texas Chapter	. Posted on August 9, 2017 Posted in Chevrolet Corvette History, Vette Vues Magazine Past Coverage of Corvette Events	. 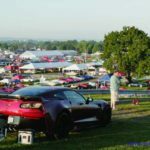 Tags: 35th Annual Corvettes at Carlisle 2016, 35th Annual Corvettes at Carlisle 2016 Funfield, Carlisle Corvette Car Show 2016, Corvettes at Carlisle 2016 Pictures, Corvettes at Carlisle Swap Meet, Corvettes at Carlisle Vendors, World's Largest Corvette Show	. Posted on May 30, 2017 Posted in Corvette News and Archives, Vette Vues Magazine Past Coverage of Corvette Events	. 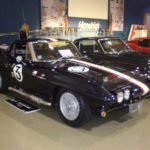 Tags: 1967 Corvette Display, Callaway Cars Display, Carlisle NCRS Gallery, Corvettes at Carlisle 2017, Corvettes at Carlisle Parade, Corvettes at Carlisle Seminars, L88 Reunion	. Posted on May 29, 2017 Posted in Corvette News and Archives, Vette Vues Magazine Past Coverage of Corvette Events	. Tags: Bloomington Gold Corvettes, Bloomington Gold Corvettes Charlotte 2017, Hendrick Motorsport, Queen City Corvette Club	. Posted on April 3, 2017 Posted in Vette Vues Magazine Past Coverage of Corvette Events	. 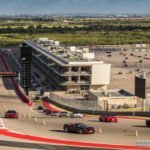 Tags: Austin Texas, Circuit of the Americas, Corvette Car show, Corvette Invasion	. 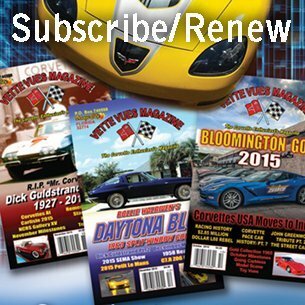 Posted on February 19, 2017 Posted in Corvette News and Archives, Vette Vues Magazine Past Coverage of Corvette Events	. 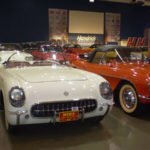 Tags: 1st Bloomington Gold Corvettes Charlotte 2016, Bill Locke, Bloomington Gold Charlotte, Bloomington Gold Charlotte 2016, Bloomington Gold Collection Charlotte 2016, Queen City All Chevy Car Show 2016	.